A good entertaiment must be interesting. This paper asserts that interesting games have unpredictability. 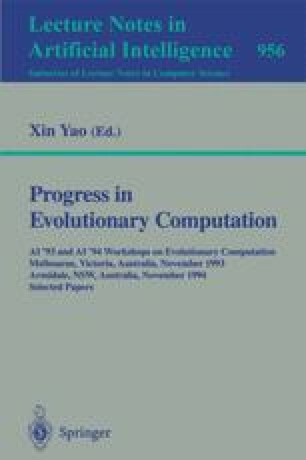 Recent technologies in artificial life give us new possibility of unpredictability, such as the evolution of strategies of opponents. This paper seeks this possibility in a robot battle game using genetic algorithm for the evolution of strategies. We made a robot battle game called X-Window Robot Battle (XRB), a fighting game of two robots. Each robot's strategy is given by assembly language codes, and these codes are created by a user or a computer. We use genetic algorithms (GA) to evolve a robot's codes made by computer and make it possible for the robot to acquire a useful strategy without being explicitly programmed. The change of strategy of an opponent makes the game more unpredictable and interesting, thus we can enjoy the game. We believe that our attempt contributes to the entertainment industries.